In order to keep your Koi healthy and keep your pond looking nice and working the way it should, Koi pond filters are going to be important. The right filter helps to clean water, remove undesirable compounds, and eliminate organic waste. 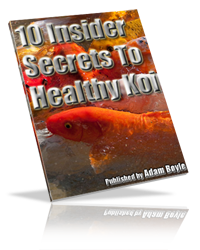 Without removing the compounds and waste, it can lead to various health problems among your Koi, which can end up leading to the death of your fish. For this reason, you need to ensure that you make the correct choice for your pond. With a variety of different filters available, choosing can be difficult. Use the following tips to make the right decision that will keep your pond and fish in great health. When you’re ready to start shopping for Koi pond filters, it’s important to write down the specs of the pond. You’ll need to know the water capacity of the pond, the dimensions, and the fish you are planning to have when you are making your choice. Have all of this information available before you start your search. If you visit a store looking for a filter, this information can help a salesperson direct you to the right options you need. You can also use this information if you decide to shop online for the filter that you need. Without this information you won’t be able to make the right decision. Another tip to remember as you’re choosing from the many Koi pond filters available is to go with one that offers biological and mechanical capabilities. Biological filtration is important because it helps to eliminate ammonia and nitrates from the pond water. However, the mechanical filtration is important as well. It helps to eliminate the organic waste from the water, which is important if you are going to keep your fish healthy. As you are checking out the mechanical portion of the available filters, look for one that allows this area of the filter to be removed easily. You need to be able to get the organic waste out of the filter. If you don’t remove this organic waste from the filter, it can end up allowing harmful bacteria into your pond, which is a big danger to your Koi. If you can manually remove the waste that is in the mechanical area of your filter, this shouldn’t cause you a problem. It’s also important to consider quality as you are choosing Koi filters. The higher quality the filter, the better job it will do at filtering out the water in the pond. Sometimes you’ll pay a bit more for a higher quality option. However, higher quality filters are well worth the money you’ll spend on them. This is one case where a cheaper option probably won’t be the best choice. Simply choosing based upon the price alone may lead to some big regrets. While you want high quality in Koi pond filters, you still want to find a reasonable price too. Sure, you don’t want to go with something too cheap. However, you also want to avoid paying too much for a quality one. The best way to make sure you get high quality filters without overpaying is to comparison shop. Shop around and see what quality options are available to you. Compare the prices that you find. Not only can you compare among local stores, but you can compare prices on the web as well. You may even find that there are more options available on the web, making it easier to make comparisons. 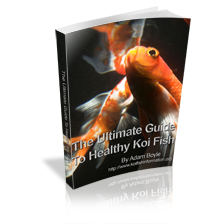 Taking the time to do some research and comparisons can help you to save quite a bit of money on the Koi filters that you need. Last, it’s also a great idea to go ahead and purchase Koi filters that are a bit larger than you really need. The last thing that you want is something that is too small to handle all the water filtration for the pond. You can simply turn down the filter if you need to. However, if you expand the pond a bit in the future, it’s going to be easy to simply turn the filter back up. This way you don’t end up having to replace the filter if you decide to expand a bit. The right filter is so important so you need to make this decision carefully. Keep these helpful tips in mind as you are making your decision. With these tips you’ll be able to find the best option for your needs among the available Koi pond filters.